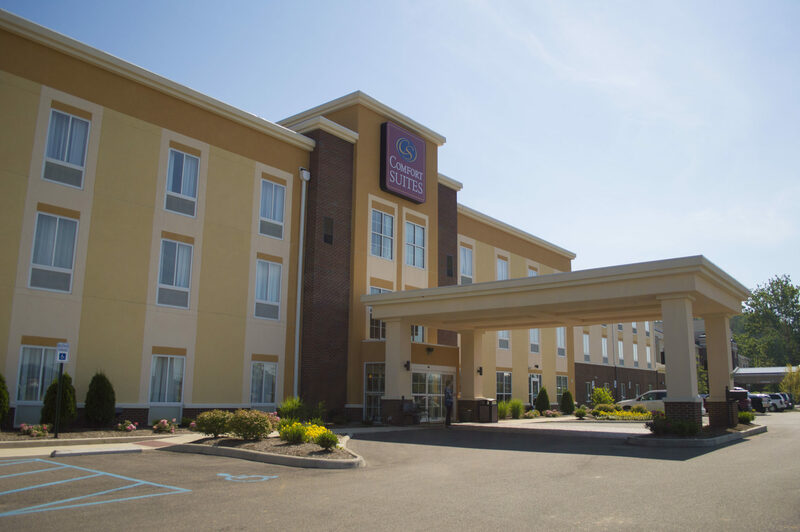 Easily accessible from Interstate 77, the Comfort Suites® in Marietta, OH offers easy access to Marietta College and family-friendly historical attractions including the Campus Martius Museum, Historic Front Street and the Ohio River. 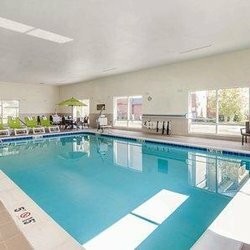 This Marietta, Ohio hotel is also convenient to Historic Harmar Village and The Castle. Businesses in the area include: American Electric Power, Broughton Foods, Allegheny Power and the Cabot Corporation.Guests of the Comfort Suites hotel are invited to relax in the indoor heated pool, work out in the 24-hour fitness center and enjoy free amenities like Wi-Fi and a free newspaper. Your Morning Breakfast is full of hot and delicious options, making breakfast at the Comfort Suites the perfect way to start your day. Enjoy our free hot breakfast featuring eggs, meat, yogurt, fresh fruit, cereal and more, including your choice of hot waffle flavors! If you’re leaving early, a Your Suite Success™ Grab & Go bag is available for the two hours prior to breakfast. 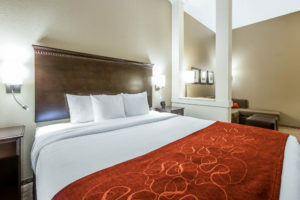 Keep your electronic devices charged with the recharge device including AC and USB outlets provided in all guest rooms, which also offer a microwave, refrigerator and sofa sleeper. Some rooms feature a coffee maker and flat-screen television. This is a pet-friendly hotel. Pets are allowed for a fee. 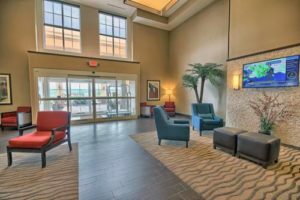 Whether you are traveling for business or going on vacation, the Comfort Suites provides relaxing accommodations in the Marietta, OH area. 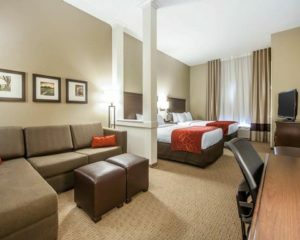 Book a room with us today, we look forward to your stay.